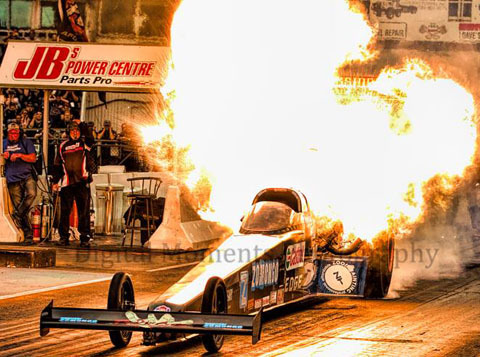 Dark Side Racing -- Top Fuel Dragster Featured Match Race and the largest Jet Car Event in Canada and returns Wednesday August 14, 2019. Each year record breaking crowds can expect to see the skies light up with flames and smoke, and speeds approaching 300MPH. Not only does Hot August Night give us a great big ball of fire, it showcases the best of the best of Western Canada's extreme motorsports. Nitro Funny Cars, Alcohol Funny Cars and 200MPH Top Fuel Harleys are just the tip of the iceberg for this fan favorite Event.